Summer is almost gone and autumn will be soon knocking, later on bringing along winter. So, it is important that you should be ready with those warm clothes and accessories to protect you from cold. Are you thinking that your style quotient will again be marred while covering yourself up to protect from winter? Well, this time, it may not be with the amazing autumn/winter collection in the lineup. Whether you are a guy or a girl, you will wish to look trendy even when the temperature is dropping down outside. Hence, there are some amazing ideas that you can try out this season. A formal shirt with full sleeves, trousers, and a blazer is something that has no match. Why just office, you can also try out the formal look at different other places such as a wedding party, a date, and others. If it is not winter yet and you wish to get the look, you can try out a waistcoat over the shirt. Why just boys, the same can be the best option for the girls also at different occasions. If wearing a blazer seems too formal to you, you can try out the formal cardigans over your shirt. Put on your high heels and you are ready to turn the eyes towards you even in the cold evenings. Denims are something that you can never deny whether it is winter or summer. But apart from styling, it is too that denims can actually protect you from slight cold, especially during the autumn nights. Boys can pair up the denims with a semi-formal shirt or a t-shirt and can be a part of any social group. Similarly, girls can put on full sleeve t-shirts with the denims to have some cool looks. For the autumn/winter 2018 collection, wearing boyfriend shirt over the denim is the new trick. Try it to look great in a comfortable way. Not just denim bottoms, denim jackets have been there in fashion since ages and it is still there. This season, you can get varieties in the denim jackets for girls such as shorts, waistcoats, and others. 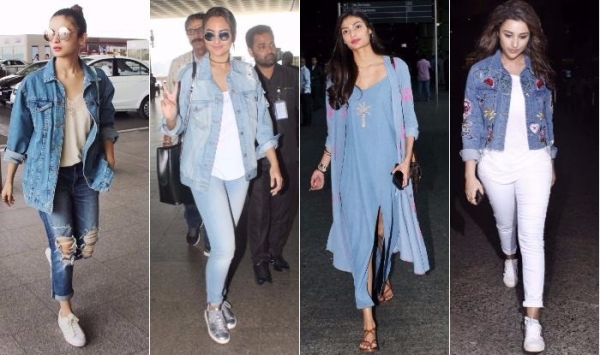 If you are not someone who is much into denim jackets, you can try out the cool denim tunics and frocks depending upon what do you wear. Are you someone who can try out bold fashion? The boyfriend shirt is the right thing for you, then. Whether you are wearing denim full length or shorts, you can accompany it with a boyfriend shirt and can be a fashion statement. Who says you cannot experiment with skirts during the winters? There is so much to offer in the collection of autumn/winter 2018. Divided skirts are again back in the fashion and hence you can try it out this autumn, pairing up with a nice shirt. Apart from this, the long skirts are again gaining popularity along with the other options such as the knee length skirts. The popularity of wearing dresses has increased recently and this is in the new trend. You can get dresses of different lengths and also of different materials such as nylon, denims and others. If it is winter night, you can pair the dress or the gown with a nice waistcoat or a small jacket, matching up the color. If you are in no mood to wear formals and get a formal look, palazzos are the best options for you. Though people today also consider palazzos to be formal and may wear them to office, but it is still much lighter than the usual trousers. You can match it up the palazzo with a good top that can be a long one or a short one, depending upon your figure and also the type of palazzo that you are wearing. If you wish to go by the traditional Indian way, there are a lot of options that you can explore this season. 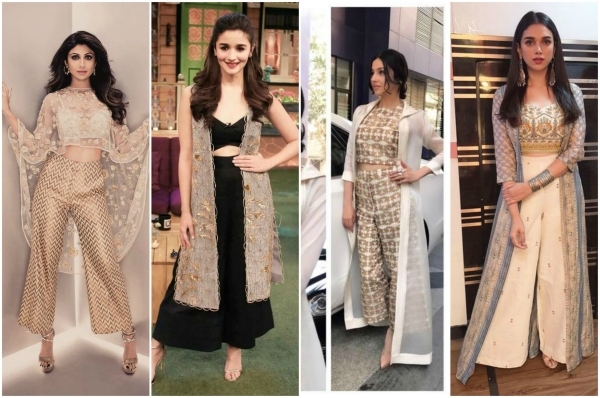 Maximum of the elite designers are trying out the magic of long kurtas for both men and women, styled it with various options such as palazzos, trousers, denims and others. The Nehru jackets over the long kurta is a huge hit that is a great option for the autumns when the cold is not much but you need something to keep yourself warmer from the breeze. These overcoats are available in different materials such as cotton, nylon, woolen and many others. You can choose the right material and the right design based on your need. If you are planning to get married in the winters, you can get amazed by the collection of outfits that you can actually try out. Even if you are not a bride, you can choose from a wide variety of the new trends to be an eye catcher at your friend’s or cousin’s wedding. 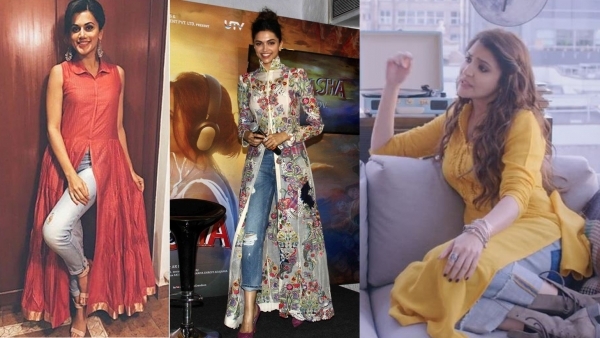 You can go for lehenga styled skirts that are not much heavy and can be easily accompanied with a sheer top that you can compliment with a jacket if you wish to. This is something that remains in the fashion always and gains a good success. The designers this season have used a lot of pastel colors of brighter shades and have provided a new look the same-old concept. The boys are provided with some real stuff such as kurtas with embroidery work with semi-formal trousers. On the other hand, a lot of experiments have been done in the female category. 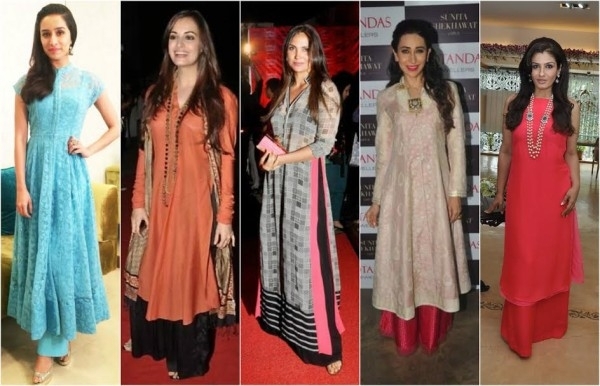 Palazzos are used in a good number along with naval touching as well as long tops and kurtas. Also, a lot of work has been done in skirts as these are highly trending today. Heavy, flowing skirts with crop tops in an embroidered style is the latest hit. Many others that one can try are trouser palazzos with shirts and many others. Winter is the time when you search for more of sweaters and jackets than clothes. But these amazing ready-to-wear collection items will surely break your routine and will make you go shopping for your autumn/winter collection.